Right now, Democrats in the House of Representatives are finally getting their voices heard about gun violence–they had to do it by sitting on the floor like a bunch of helpless college students. But House Speaker Paul Ryan is trying to control the video of this event Nicolae Ceausescu-style. That should give you some idea of the pernicious hold that the gun lobby has on elected leaders’ souls. Consider that, and that extremists are telling us we must now even dance with loaded weapons to meet the safety parameters of their world, and you realize that they are not on the side that enables freedom. When they do stuff like this, they lose the benefit of the doubt we give them that gunfire has made them deaf. This is a tough question, one especially hard to discuss with children, as Ted Nugent’s great passion about things related to weaponry, archery and dead animals has made them wonder if they might themselves ever be at the receiving end of Nugent’s wrathful judgment of all things not him. Nugent, who was known for wild 1970s hits like “Cat Scratch Fever,” a mildly frightening song by today’s standards, has upped the fear factor manyfold with a pure gun rights stance. He has stayed true to his conviction after many, many, many, many national gun tragedies, which some pundits might applaud as a true example of principle were it not for the fact that Ted Nugent seems to want to kill us. “Three hundred million American guns were not misused again this week,” Nugent boldly proclaimed on his Twitter page shortly after a national tragedy involving lots of innocent gun victims, the stance of an empathy-lacking person who some psychologists might say really wants to kill us. 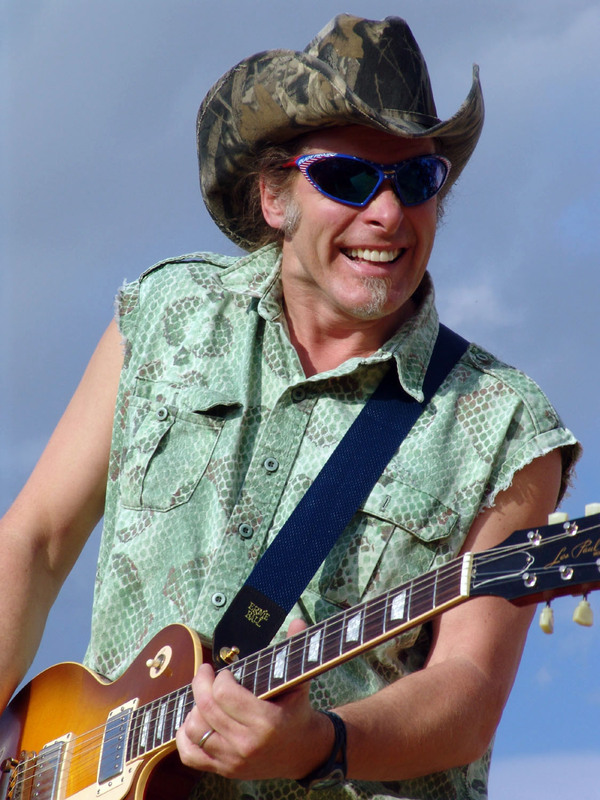 Child psychologists, noting his propensity for illegal hunting and killing endangered species, have kept open hotlines for parents wondering what to tell their children about whether Ted Nugent might kill them. Nugent’s friends and acquaintances agree: He does not compromise. When Stevens heard Nugent was coming, he dived under a counter. I am Morgan Freeman. When you put text next to my picture, the words take on an authoritative tone. People see my wise visage and imagine my basso profundo voice and after that will pretty much believe any text that appears next to me, whether it was correctly attributed or not. They remember me in “Unforgiven” and “Driving Miss Daisy” and find comfort in the omniscient voice of reason I offer in every performance. My look of fatherly calm and the feelings of well-being I impart in both their cinema memories and likely their dreams too allows them to temporarily suspend skepticism. In “Bruce Almighty,” they remember the humility they felt at someone suffering the burdens of Atlas who couldn’t go on, but tried to because they knew that I showed them at their best. I represent calm, the better part of nature. It is easy to use me (and my press photos) because I am likely off promoting some movie and can’t keep on top of every false quote that’s attributed to me. That makes me a great spokesperson whether it’s voluntary or otherwise, for the patently obvious agenda of whatever particular person actually wrote the source text. So I must ask you, as you look deep into my eyes and trust that everything will be OK: Am I getting paid for this or not? –*Liberals. Because just saying that word makes certain neanderthals pee blood. –*Anything other than guns because we have a Second Amendment people and that means if you restrict schizophrenics from acquiring assault rifles, you’re limiting my personal freedom.